Best Collections of Free and Premium Zen Cart Themes and Templates. 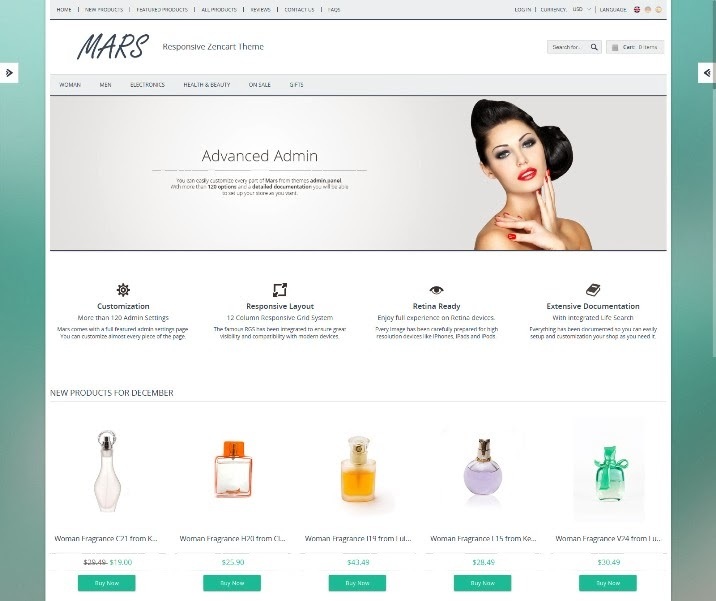 Mars is a clean, modern responsive Zen cart theme, suited for any e-commerce website. It was built with the latest technologies like HTML5, CSS3, LESS and the famous Responsive Grid System. Thanks to this it is optimized not just for desktop but also for mobile and tablet devices. Paulinka Shop is a fresh Zen Cart theme with powerful options. We are first who give you featured/shortcodes to create powerfull site with shop, not only shop. All is easy to config, you don’t need changing anything in template files. Fashionable Handbags ZenCart Template. 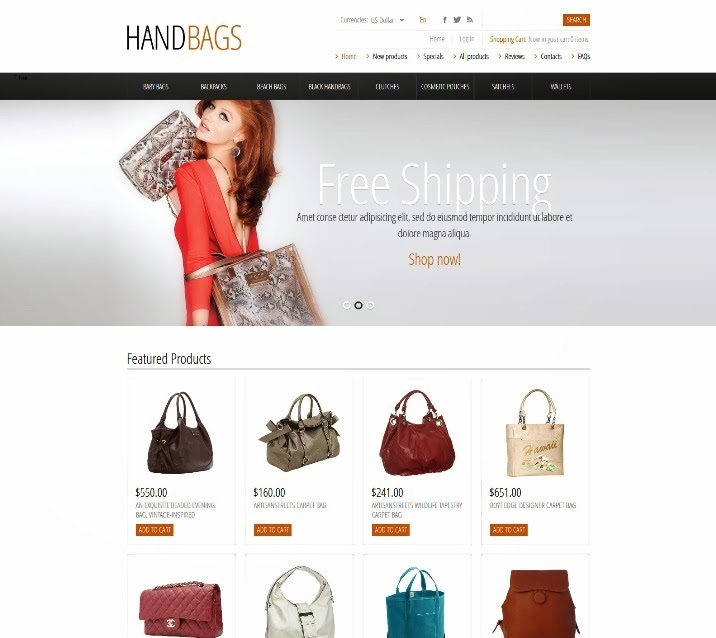 The template was created for online handbag, footwear and accessories stores. Features are Sliced PSD, Back To Top Button, Commenting System, Crossbrowser Compatibility, Drop Down Cart, Favicon and more. 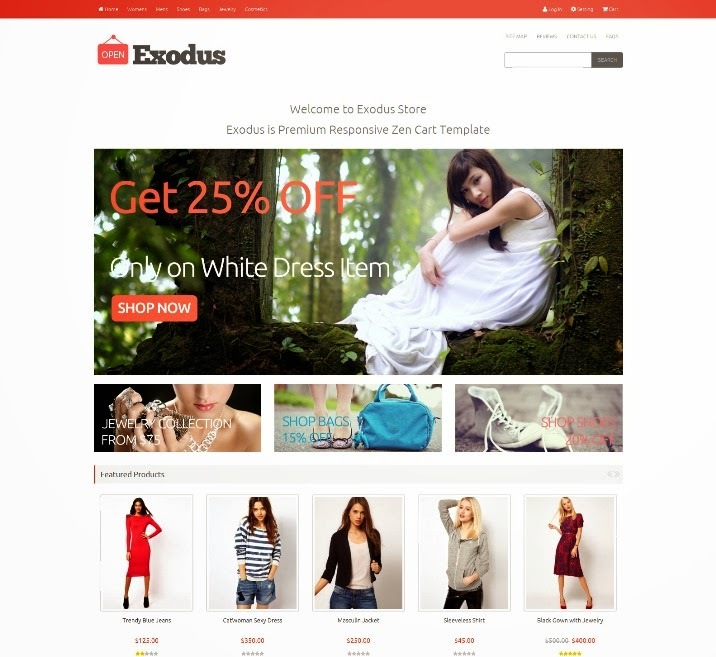 Exodus is Clean and Responsive Zen Cart Template. There are 9 pre-made color or custom color that you can choose/change from admin, customize footer directly from the admin page. 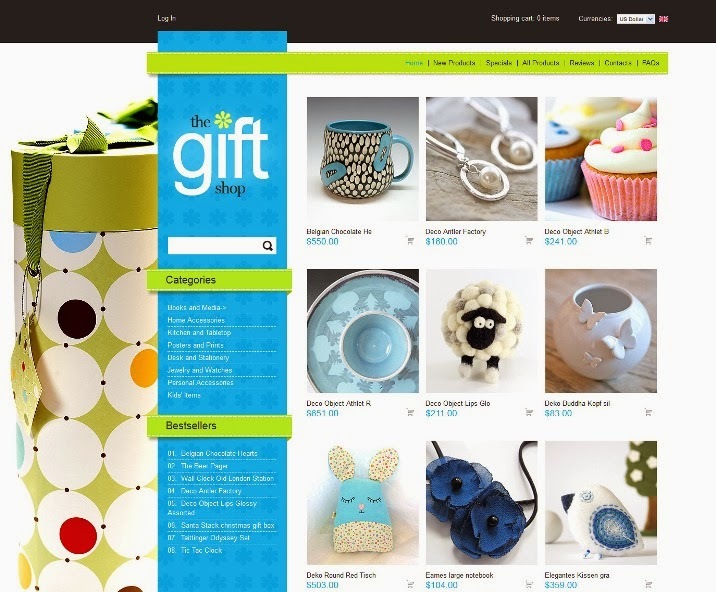 Its universal design makes this themes suitable for any kind of online shop. Built with Twitter Bootstrap CSS Framework and it looks great on desktops, tablets and mobile phones. Hope is a templates that designed for any type of product or business. It is a fully working template. Hope has light background color, and most effect are controlled by CSS, so it is easy to change background color. 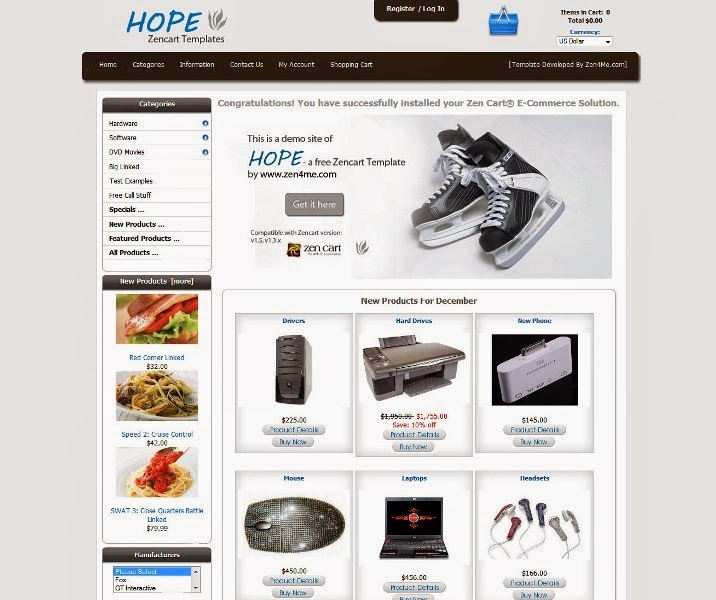 The Hope Zen Cart template comes with the latest web design trend, integrated with horizontal dropdown menu, and many other features. It is easy to use and flexible to modify. Can be used with 2 or 3 columns style. 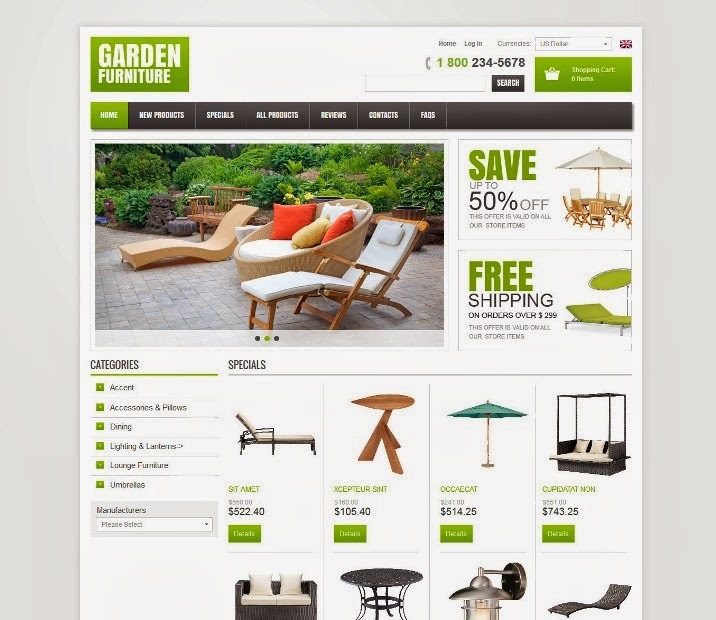 Garden Furniture ZenCart Template. The theme is recommended for online furniture, curtains and flooring stores. Expand the boundaries of your product market with our online store. White and green hues are relaxing and friendly for the eyes. Slider demonstrates how furniture blends with the house exterior. Banners advertise store offers and discounts. Categories and Manufacturers searches are in the left sidebar. RainDrop is a premium Zen Cart theme with a modern and clean design, easy to use and fully responsive that suits every type of store. Features are Clean and modern design, Responsive layout, HTML5 and CSS3, Integrated Bootstrap Framework, Grid / list products view, SEO optimized and more. Free ZenCart 1.5 template is professional made design for Zen Cart e-commerce engine version 1.5. ZenCart template is a subsidiary/affiliated product of osCommerce and is based on osCommerce structure, but more simplified and has extended functional. 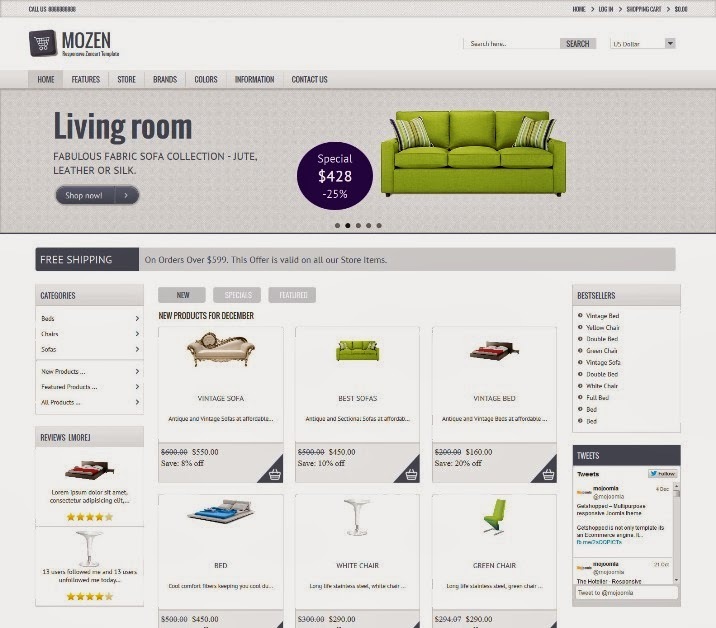 ZenCart 1.5 templates are ready made web design pages for online stores. 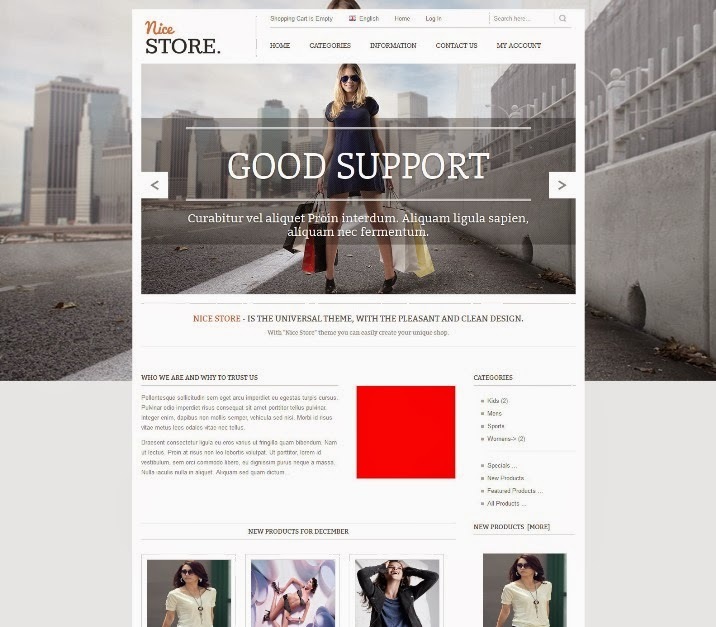 Nicestore is clean and content focused design, This zencart theme is suitable for almost All kind of shops including but not limited to cloths, jewellery, cosmetics, beauty productcs, furniture, home decore items, foods, electronics and other similar nature of business. 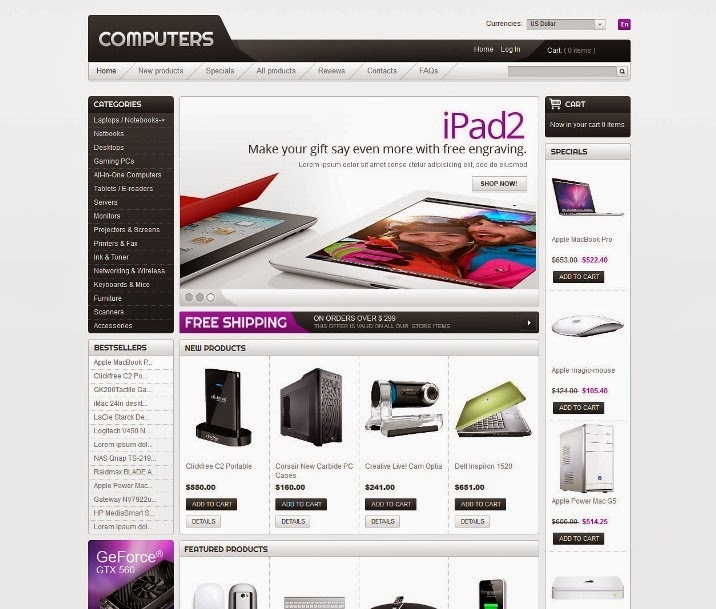 Computers For Work & Leisure ZenCart Template. A high-tech content rich theme like this is exactly what you need for your online project. 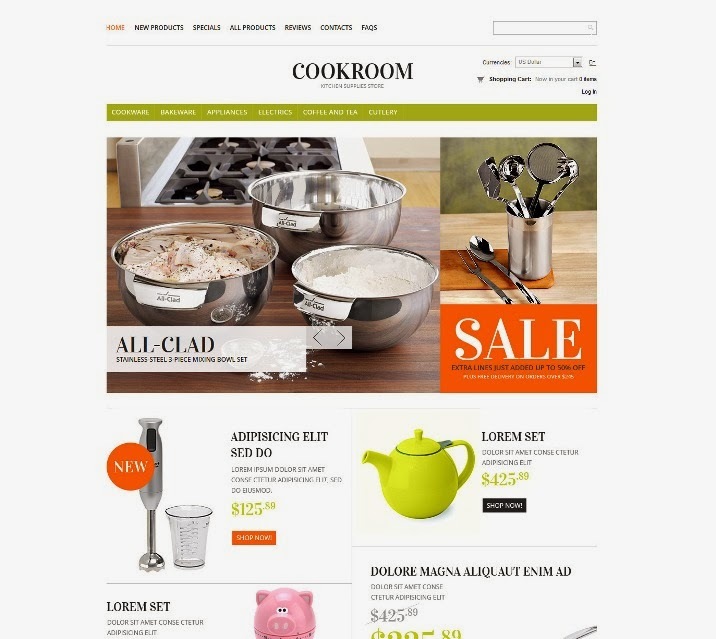 Light grey layout is friendly for users’ eyes. Slider demonstrates the newest models. Specials section in the right sidebar is illustrated. Left sidebar gives the possibility to search by categories and best selling products. 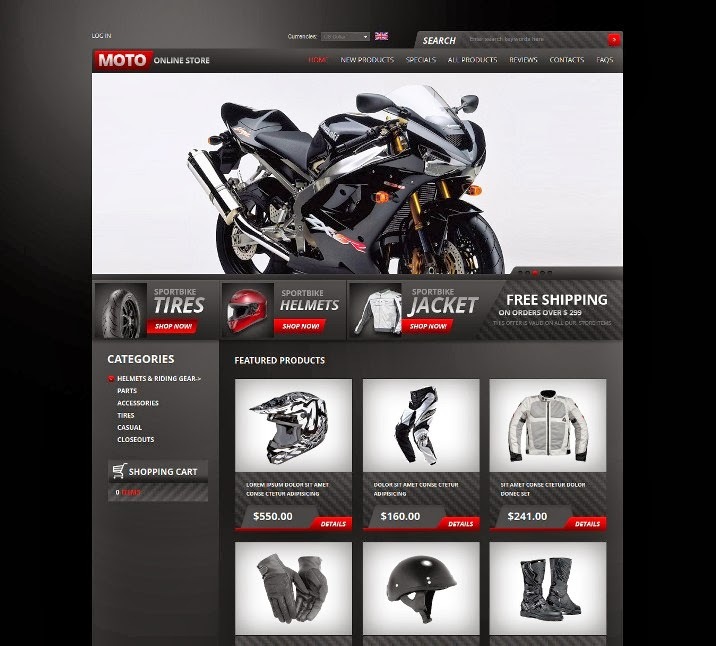 Content area accommodates New and Featured products sections. 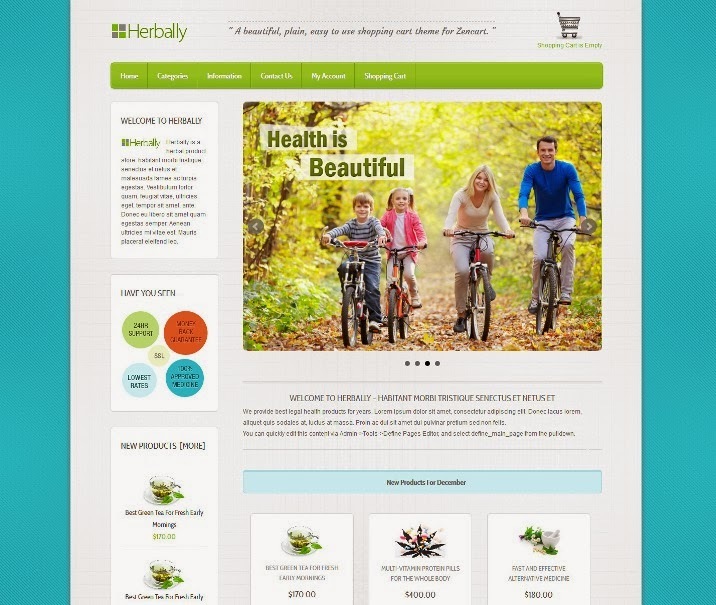 Herbally is clean and content focused design, This zencart theme is suitable for almost All kind of shops including but not limited to cloths, jewellery, cosmetics, beauty productcs, furniture, home decore items, foods, electronics and other similar nature of business. Fragrances Online ZenCart Template. The template can be used by online stores retailing perfumes, cosmetics, body treatment items and other beauty products.